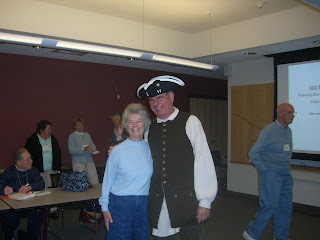 Sponsored by Empire State College, we did a double program on the French and Indian War and what we found in our 300 Miles of History canoe trip for the Academy for Lifelong Learning in Saratoga Springs on April 30th. We had fun, as did all of the participants as exhibited by this photo of happy people all around. Contact us to see if we can make your group just as happy as this group. http://www.rogerfulton.com/ and click on our Speakers Bureau for more details.